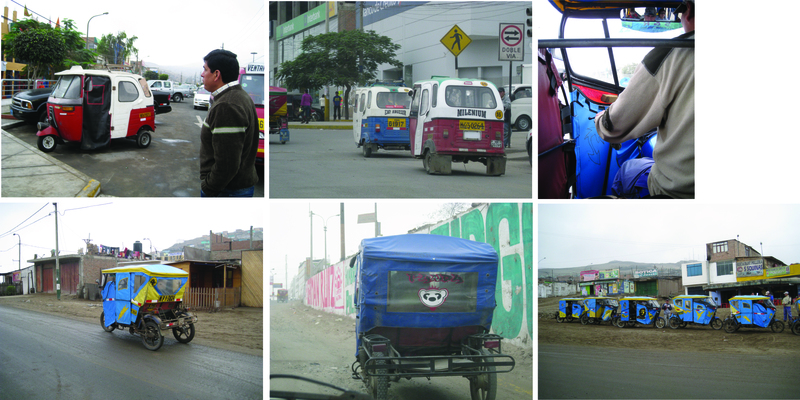 Once informal, San Juan de Lubrigancho (SJL) is now one of the oldest, more consolidated settlements in Lima. It is located in the Eastern side of the city, in an area known as Cono Este, adjacent to the main airport, and relatively close to the city center. Currently, SJL has a current population of over one million people. Following are some photographs of the older and much more consolidated areas (now regularized and formalized), as well as their own informal settlements (“pueblos jóvenes”) in the hills. 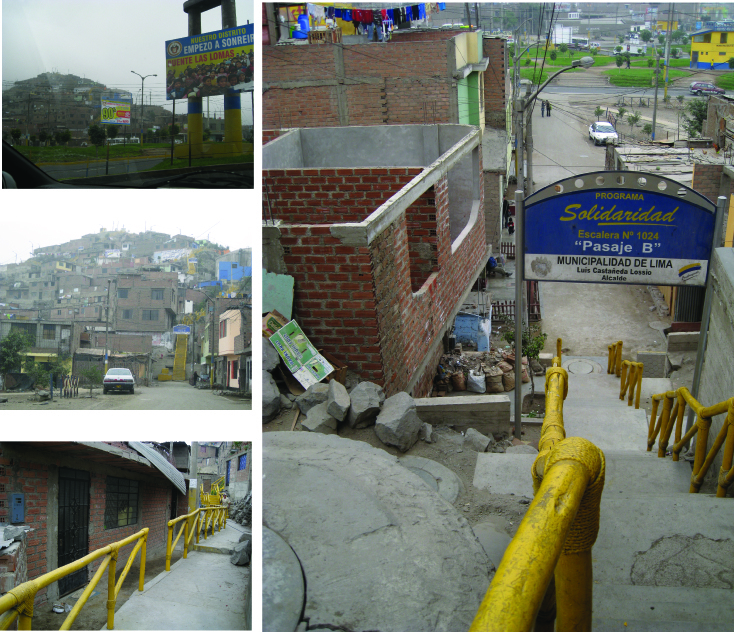 As a way of showing interest, the local government recently began a plan, building stairs in the “pueblos jóvenes” that rest in the steeper and more difficult topography. 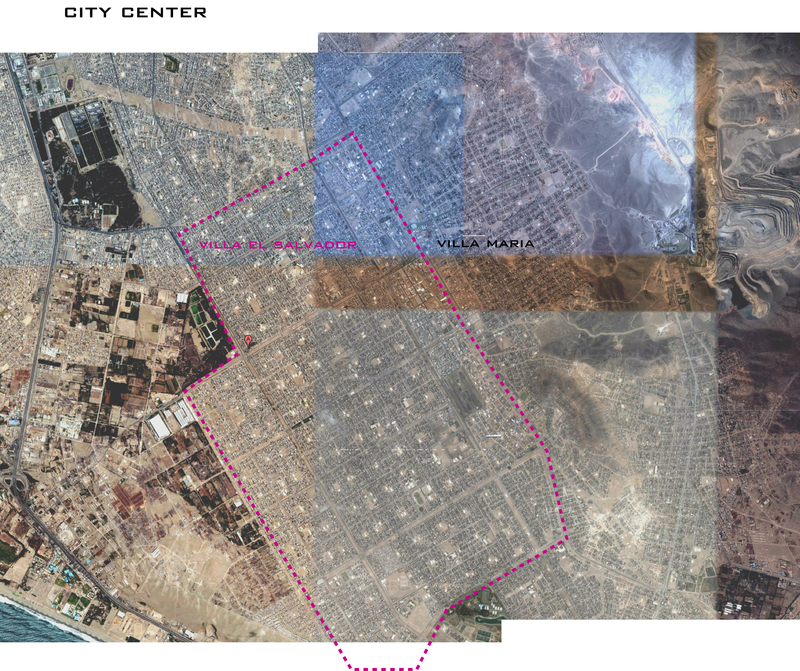 I have to note that although lacking basic services, all of the informal settlements are extremely connected to the rest of the city. I was amazed at the manner through which the existing circulation systems reach the most extreme points in the city. Most of these systems are informal themselves, and as such, are quite fragmented (depending on the area and on the distances, one has to take a taxi, a bus, a convi- the equivalent of a larger van, or even a mototaxi in the most remote and mostly informal areas- similar to Thailand’s Tuk Tuks). The Mototaxis have such an interesting presentation and decoration, that they call for a photographic study in themselves! 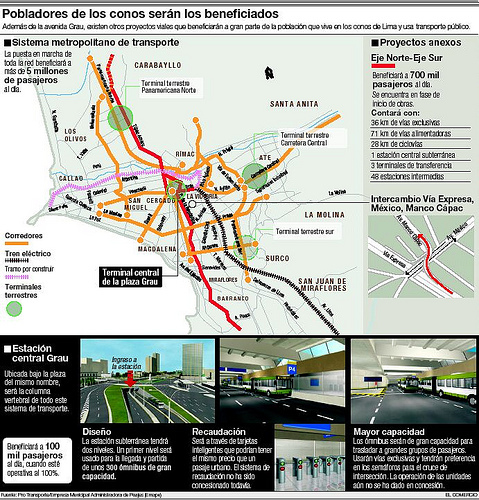 Currently, the city is trying to regularize its mobility system with the design and now construction of the Metropolitano (Lima’s equivalent of Bogotá’s Transmilenio- bus system) and the Tren Urbano (Metropolitan Train). It will be interesting to see how these new regular systems develop in the next years and what strategies, the government will have to adopt in order to dissipate or on the contrary, use to their advantage, the current informal systems. 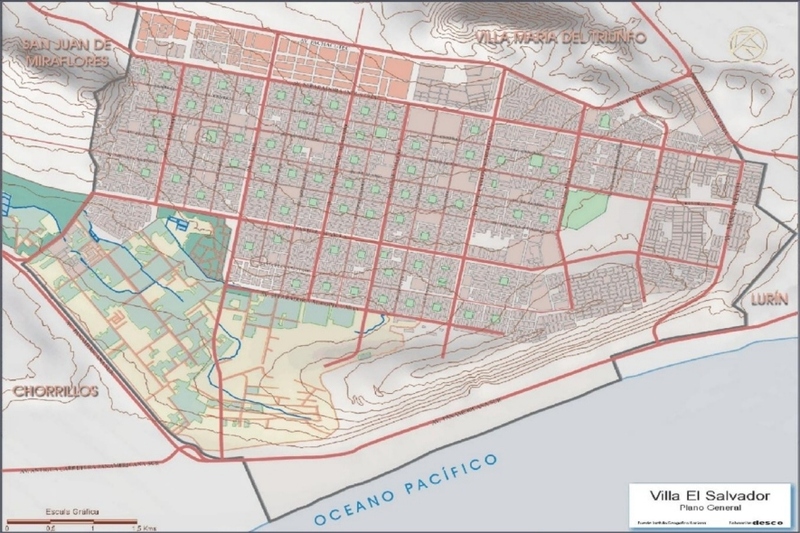 It is interesting to not the similarity in the “planning” between Villa El Salvador and Ciudad Nezahualcóyotl in Mexico City (a large area of the city that also began as a “planned” informal city”lacking basic services but with basic street delineations, blocks and lot subdivisions). Really interesting article and blog! The exact name is San Juan de Lurigancho.